The tournament clock currently says that 49 of the 83 players who entered Day 1A are still alive in the race to the end of level 10. The remaining players are now on a one-hour dinner break and will player four more levels before bagging and tagging for the night. A walk around the room as the dinner break approached showed Matt Berkey with a stack of 80,000, placing him among the early chipleaders as the first flight heads into the home stretch. Rene Angelil is up to 61,000, while Eric Blair and Leo Wolpert have crossed the 50,000 mark. Noticeably absent among the eliminations post-re-buy period are Dan Sindelar and Justin Young. The player in the hijack seat opened to 800 and the button called. Eric Baldwin called from the small blind and the big blind did as well. A flop of 9 7 6 resulted in action being checked all the way around the table. After seeing the 4 on the turn, Baldwin bet 2,000 and action folded to the button. The button called and the two players saw the 4 on the river. Baldwin checked and the button fired out a bet of 3,500. Baldwin took a few moments before ultimately folding his hand. Randy Ohel raised to 800 from under the gun and immediately said he felt he had not made a big enough raise. “Part of me wants to lose this hand for not raising enough,” Ohel said as action worked its way around the table. “I bet that’s a very small part,” Matt Stout said as the player in middle position called and Stout folded his cards from the button. “Yes. More of me wants to win,” Ohel said. Larry Wright called from the small blind and the three saw a flop of Q 9 2 . Wright checked, Ohel bet 2,000 and the middle position folded. Wright called and he and Ohel faced the K on the turn. Both players checked and saw the 10 on the river. This time, Wright bet 3,500 and Ohel let go of his hand. “It’s not hard to bluff a guy that tells you he wants to lose,” Stout said as Wright pulled in his chips. A player in middle position raised to 700 and Samantha Cohen called from the small blind. The big blind three-bet to 1,500 and middle position and Cohen both called to see a flop of J 8 6 . Action checked around the table and the dealer revealed the 3 on the turn. Cohen checked and the big blind cut out a bet of 2,500. Both Cohen and the player in middle position folded. As the clock ticks forward on this first of two starting days, the field is becoming more stacked by the minute. Dan Sindelar, a member of the most recent batch of November-Niners, has made an appearance. Sindelar finished seventh in the WSOP main event and while that is impressive enough, the poker pro has also done very well here at the Wynn in years past. Sindelar won the $550 no-limit hold’em $250,000 guarantee during CPPT Wynn Season I in 2013, outlasting a field of 793 players and banking an even $60,000. 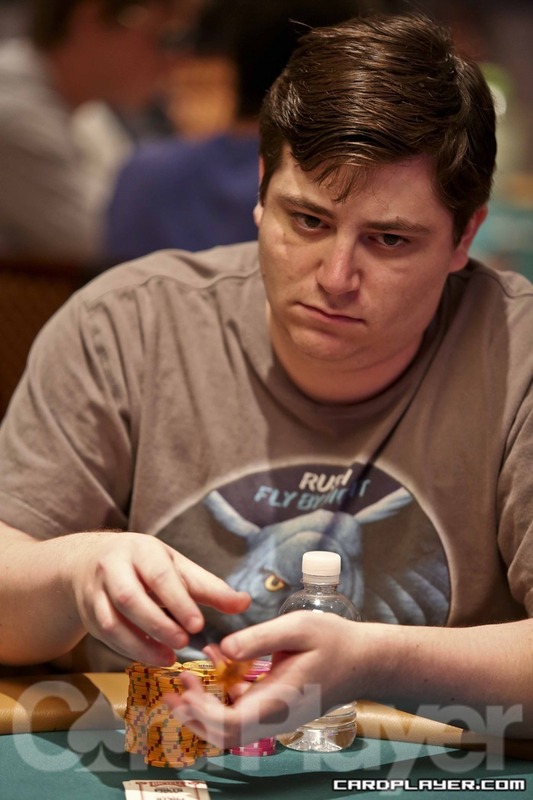 The following year, Sindelar took third in the same event for $38,728. 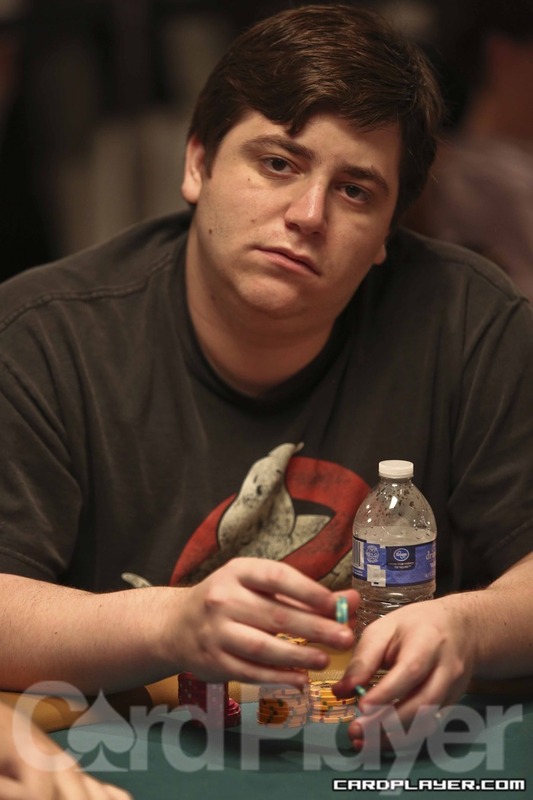 Randy Ohel and Eric Baldwin, both WSOP bracelet winners, have joined the growing field. Leo Wolpert, fresh off his win in the $650 no-limit hold’em $150,000 guarantee, has also taken his seat. Wolpert banked nearly $40,000 yesterday after defeating a field of 332 players. Kenna James joined Dutch Boyd’s table and took to Twitter to reminisce about the past. Eric Blair, who finished sixth during Season II of the CPPT at the Palm Beach Kennel Club main event for $12,894 is in the field. Matt Stout, Corey Burbick and Larry Wright have taken their seats as well. Randy Ohel opened the pot for a raise before the flop, Chris Bell reraised from the big blind and Ohel called all in. Chris Bell turned two pair to win the pot and eliminate Randy Ohel in 5th place ($75,662). Bell ended the hand with about 875,000 in chips. The final table of Event no. 58 ($3,000 Pot-Limit Omaha Hi/Low Split 8/OB) is now underway, and Card Player will be posting level-by-level updates with all of the action, current chip counts, and prize distributions. Day 3 began with 31 players spread out over 4 tables, and with the elimination of Daniel McNally in 10th Place ($20,520), the final table is now set. Play will begin in Level 22 with blinds of 8,000-16,000, and will continue until a winner is determined. After an exciting battle of heads-up play that saw the chip lead swing back and forth numerous times, Randy Ohel seemed to be in control for most of the last level despite many attempts by Benjamon Lazer to narrow the gap and chip back to even. Lazer even managed to steal the lead back from Ohel after wining a showdown with a 7-6 low, but Ohel quickly answered back, claiming the chip lead for the final time. Ohel quickly began to put some distance between himself and the short stack, knocking him down to just a single big blind before finally closing out the night. On the final hand, Benjamin Lazer was all in before the draw and Randy Ohel had him covered. Both players drew 2 cards each on the first draw while Lazer stood pat and Ohel drew 1 card on the second draw. Lazer drew 1 card on the third and final draw and bricked out with a pair of fives against Ohel’s made 9-6 low. Benjamin Lazer was eliminated in 2nd place ($89,714) while Randy Ohel wins Event no. 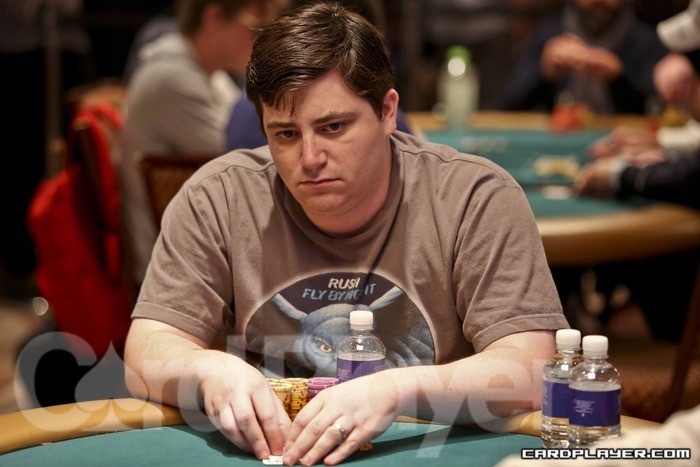 22, taking him the $145,247 grand prize and the twenty-second gold bracelet of the 2012 WSOP. Randy Ohel started the level as the chipleader with with a more than 3:1 lead over Benjamin Lazer, but Lazer quickly evened things up after winning a showdown with a 9-8 low. Lazer continued to chip back until regaining the lead for himself once again about halfway through the level after forcing Ohel to fold many raised pots without a showdown. Lazer managed to whittle his opponent down further and even got him under 7 big blinds after winning a big showdown with 9-8 low. Ohel got his short stack all in on the next hand and doubled up with an 8-7 low against Lazer’s 9-8 low after standing pat after the first draw. Ohel narrowed the gap a little bit that hand with just under 500,000 to Lazer’s 1.2 million. Ohel managed to take the lead back for a second time this level after winning a big showdown with an 8-7 low. Ohel stood pat on the final draw and squeezed a check-raise out of Lazer as he drew one card. That hand put Ohel in the lead with just over 1.1 million to Lazer’s 560,000. Ohel continued to widen the gap as the level came to end, chopping his opponent down to just under 200,000 before Lazer found a much needed double up to survive the next blind increase. Lazer made a nine-low that hand and doubled back to about 400,000 (13 bbs). Benjamin Lazer took a sizable chip lead going into heads-up play and it went relatively unchallenged throughout Level 24 as both players ended the level with almost exactly what they it started with. 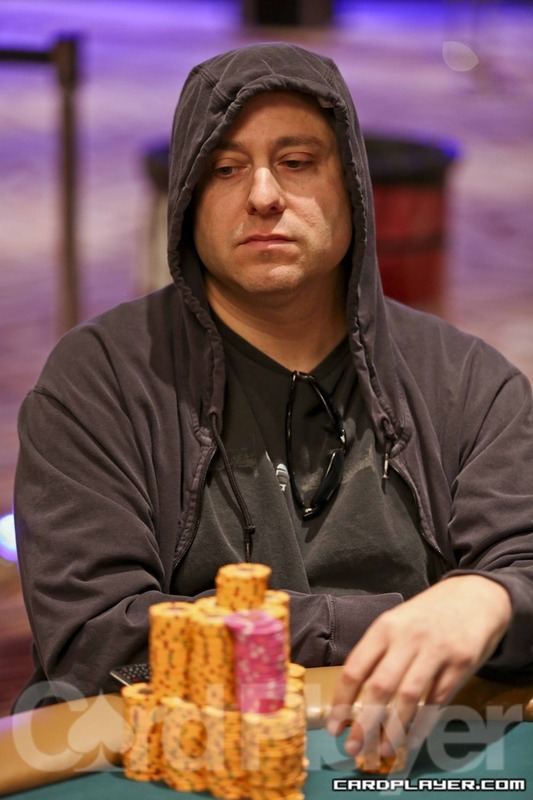 Lazer won a 400,000 showdown at the beginning of Level 25 with a 9-7 low that gave him a more than 3:1 chip lead over Ohel, and then knocked him down to just 210,000 (4 bbs) after winning a showdown with a 7-6 low. Down but not out, Ohel managed to chip back up to nearly even about halfway through the level after making a big call with a 9-7 low, and then went on to take the lead for himself as the level came to an end. Ohel put his new stack to good and use and managed to chip and putt his way to the lead after winning a series of uncontested pots without missing a bet. Ohel’s aggression paid off and he ended the level with a more than 3:1 chip lead over Lazer, effectively reversing the original heads-up stacks during the last level of play. Randy Ohel raised the button to 30,000 and David Baker called from the big blind. First Draw: Baker drew 3 cards and Ohel drew 2. Baker bet 15,000 Ohel raised to 30,000 and Baker called all in. Second Draw: Baker drew 1 card and Ohel drew 2 cards. Third Draw: Both players drew 1 card each. Ohel made a 7-6 low on the final draw and Baker paired his four. David Baker was eliminated in 3rd place ($59,925) while Randy Ohel took a chip lead of nearly 3:1 against Benjamin Lazer going into heads-up play. With the elimination of David Baker in 3rd place ($59,925), Randy Ohel took the chip lead going into heads-up play with 1,235,000 to Benjamin Lazer’s 475,000. Benjamin Lazer began heads-up play severely out chipped by nearly 3:1, but quickly evened out the stacks after winning a big showdown with an 8-6 low against Ohel’s 8-7. A few hands later and Lazer took the chip lead for himself after winning another showdown with an 8-6 low against Ohel’s 8-7 low. That hand put Lazer up to 1,107,00 heading into the dinner break against Ohel’s 603,000. The remaining two players took a forty-five minute dinner break at the conclusion of Level 23 and will return at approximately 9:00pm local time to resume play. The final table of Event no. 22 ($2,500 Deuce-to-Seven Triple Draw Lowball) is now underway, and Card Player will be posting level-by-level updates with all of the action, current chip counts, and prize distributions. Day 3 began with 9 players spread out over 2 tables, and with the elimination of Von Altizer in 7th Place ($14,725), the official 6-handed final table is now set. Play will begin in Level 20 with blinds of 4,000-8,000 and limits of 8,000-16,000, and will continue until a winner is determined.